Leeds Teaching Hospitals NHS Trust, one of the biggest NHS trusts in the country, implements a dedicated PC Power Management solution to reduce costs and carbon. 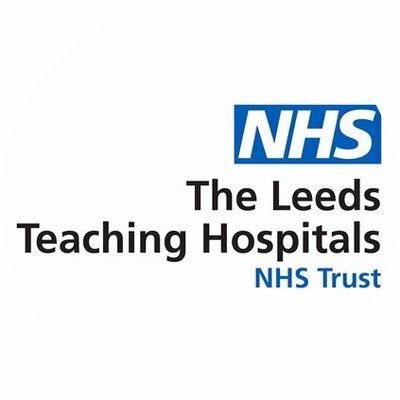 Leeds Teaching Hospitals NHS Trust is one of the largest and busiest acute hospital trusts in the UK. With a £1 billion budget, and over 17,000 employees, the Trust provides high quality local and specialist services for an immediate population of 770,000 and regional specialist care for up to 5.4 million people. With the ever-present challenge of optimizing clinical services and patient care within a defined budget, a new management team within the Trust was keen to explore every opportunity for driving efficiencies and eliminating unnecessary expenditure. In conjunction, expectations were in place around satisfying the Trust’s environmental responsibilities and associated Carbon Reduction Commitment (CRC) targets. An organization-wide study of energy usage across the Trust, highlighted that IT-related requirements accounted for a significant proportion of electricity consumption, 40% of which was associated with PCs. Further investigation indicated numerous instances of devices being left idle for long periods of time, sitting unused yet still consuming electricity. Across an estate comprising over 10,000 PCs, this amounted to a significant amount of avoidable wastage. A PC Power Management solution was identified as the perfect way to address the issue. However, with such a large estate, spread across numerous locations and many different end-user requirements, the challenge was identifying a manageable solution, with the right capabilities and ROI credentials. Microsoft SCCM was initially considered as an option; however further investigation highlighted some key shortcomings and it was concluded that a dedicated solution would deliver the best results. PowerStudio – with an established track record of delivering successful implementations across other NHS Trusts – was seen as a natural fit and Certero’s ROI model was a great help in building a solid business case using established facts and data from real-life experiences. With over 10,000 PCs in use across the organization, it was estimated that the savings achievable from shutting down idle devices would amount to £140k per annum and reduce the carbon footprint by over 700tes per annum. In addition, it was calculated that the solution would pay for itself within six months. PowerStudio relies on a client to be installed on each device which takes full control of power management. With deployment of the client facilitated directly within PowerStudio, there is no need to rely on any 3rd party solutions. After proving the solution in a test environment, complete roll-out was achieved using a straightforward, no-hitch, phased approach. A high-level inventory is performed by the PowerStudio client to obtain the hardware specifications, this is then used by PowerStudio to accurately monitor the energy consumption as different makes and models of devices all use different amounts of power. Ultimately PowerStudio ensures that idle devices are shut down gracefully, without any end-user disruption. “I wouldn’t hesitate to recommend PowerStudio and Certero. Installation and configuration was easy and we have had an extremely positive experience in terms of technical support, with excellent availability and a clear willingness to go the extra mile. Usage and administration of PowerStudio is straightforward, with the ability to easily produce informative reports and graphs, making cost, carbon, energy and time savings quick and simple to establish.